Neil Lennon reveals he may quit as Hibernian head coach, claiming he is being targeted in Scottish football for being a Catholic. 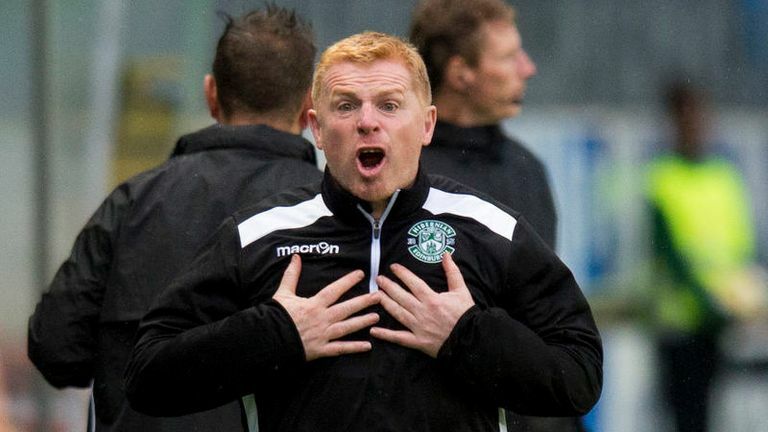 Neil Lennon says he may "reconsider" his job as Hibernian manager after being targeted in Scottish football by sectarian hatred. 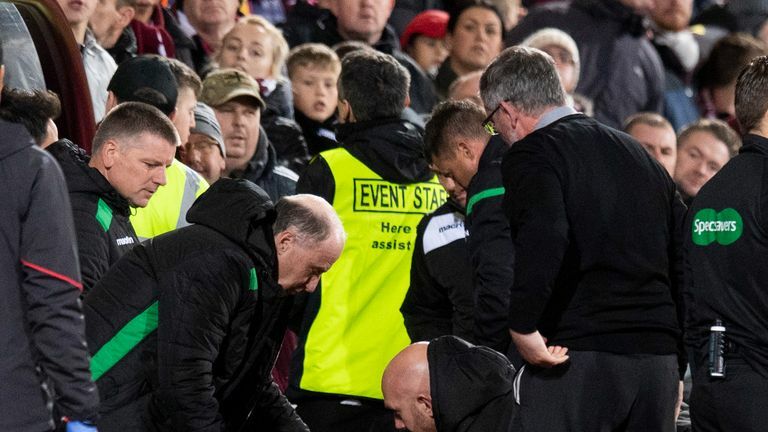 Lennon was struck on the head by an object that was thrown from the crowd during Wednesday's Edinburgh derby with Hearts at Tynecastle, and says he is "extremely angry" that his conduct has been questioned. The 47-year-old Northern Irishman fully backed his agent's claim that he is routinely targeted for abuse in Scotland because he is an Irish Catholic who played and managed Celtic. He said: "I've thought about walking away when I was manager of Celtic. "Again, with all the furore and the empty vessels talking after Wednesday - people spouting opinions and totally getting the wrong end of things, I may reconsider my position again. "I had a career in England unblemished by this sort of stuff. I had two years at Bolton [as manager] - again, no abuse, no attacks, no suspensions or anything like that. And as soon as I've come back to Scotland it's started to rear its ugly head again." When asked about agent Martin Reilly's comments, Lennon said: "Everyone tries to skirt round it. That's the basis of it, has been since 2000. "The first day I stepped on to the pitch at Windsor Park as a Celtic player I was booed every time I touched the ball, having previously played 36 times and had nothing. But it was my association with Celtic, being high profile - there's no question in my mind that was the reason behind it. "You call it sectarianism here in Scotland, I call it racism. If a black man is abused, you are not just abusing the colour of his skin, you are abusing his culture, his heritage, his background. it's the exact same. "All I do is stand up for myself. "Every week we hear the songs at stadiums - that's got to be stomped out. People don't want to do it, saying we can't do anything about it - you can, if you really want to. "I'm not the only one to suffer from sectarian abuse, plenty of people at Rangers suffer from it too and I think it's disgusting in this day and age. It's racism. Sometimes it's worse here than it is back home." Lennon also hit out at those who have claimed he brings trouble on himself with his actions on the touchline. 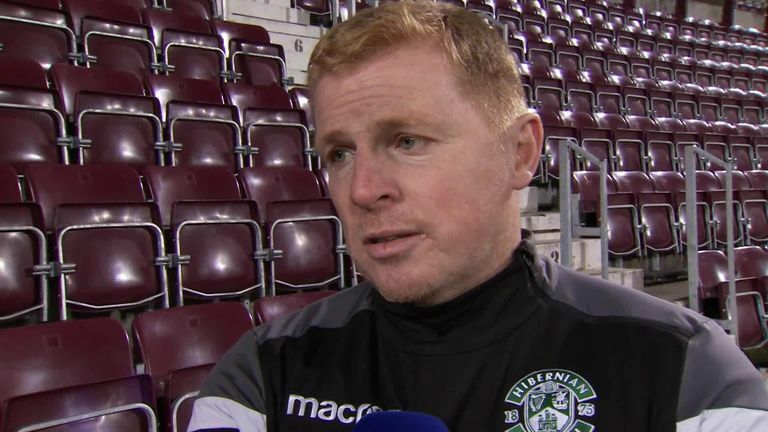 Hibernian boss Neil Lennon hopes the supporter who threw a coin at him in the Edinburgh derby can be identified and punished. "People should know better," Lennon said. "It's pretty poor all this - 'I was goading people, I bring it on myself'. There's an effigy outside Tynecastle saying 'hang Neil Lennon'. That was before the game. Did I bring that on myself? "This has got to stop. Everyone says I play the victim. I don't. I had 15 years in England of nothing, so the first day I step into Scotland this sort of stuff began. "And it's not because I'm an aggressive character. You all know me. I'm not aggressive at all. I'm competitive, sometimes I cross the line just like any normal manager. So this 'brings it on himself', I'm very angry about those comments."